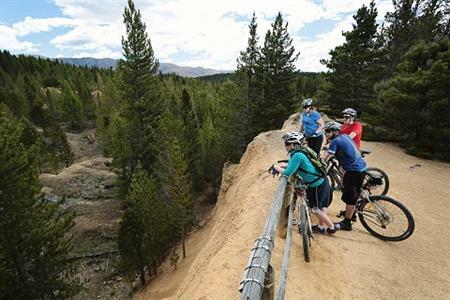 This easy Central Otago cycle trail is suitable for the whole family. 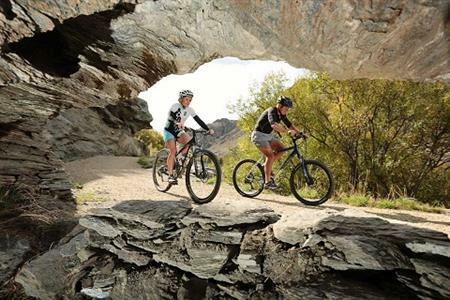 The trail takes you along the true right banks of the powerful Clutha Mata-au River between Alexandra and Clyde. 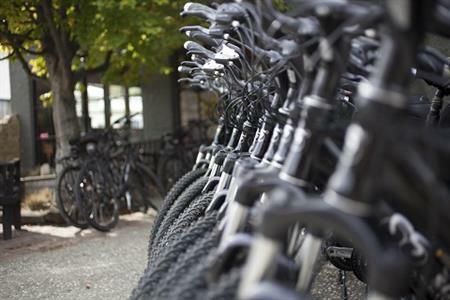 Expect to see walkers, joggers out for their daily constitutional. The trail is suitable for wheel chair and pushchair access in parts. Do be aware of the blind corners – you don’t know who will be around the corner! Mainly flat with one or two boardwalks and bridges nearer Alexandra, this good surfaced trail is special no matter the season and especially good in the height of summer when the dappled shade from the willow trees is appreciated. 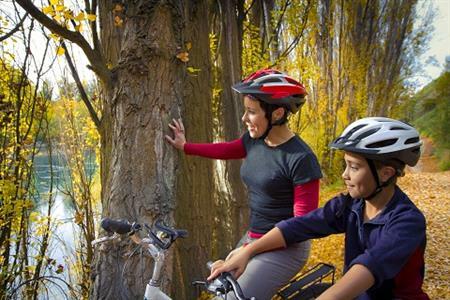 Pack some local delights and stop for a quiet picnic at conveniently placed seating, or just enjoy cycling along the willow-lined trail and take in their soft green colours in spring or their vibrant golds in autumn. Take your fishing rod (and licence) for a cast or two on the rivers’ edge or on the stony beaches. From the Alexandra end, start at the car park sign posted 300 metres along Earnscleugh Road from SH8. You can also start at the Alexandra Bridge along the riverside trail if that is more convenient. The trail follows the river upstream through the historic Earnscleugh Tailings. This area was extensively dredged in the early 1900’s and yielded tons of gold. It was hard, noisy work compared to the peaceful place it is today. You might notice the marked changes in the gravel heaps reflecting the improvements in dredge technology and you also might notice scattered through this wilderness some remaining artefacts. This area is special and regarded as an ‘outside museum’ so please admire but do not touch. The Tailings are protected and are on conservation land. Take a detour from the trail, following the signs and pathway, to The Packing Shed Cafe on Bolton Road and enjoy a well-deserved refreshment before re-joining the river trail to Clyde. 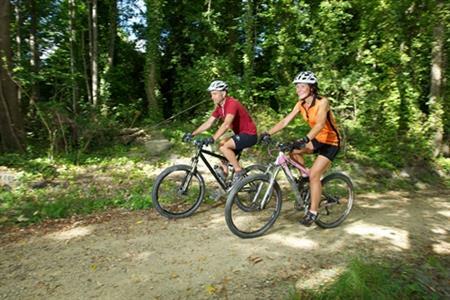 Linger a while in the delightful historic township of Clyde – it is well worth a visit. 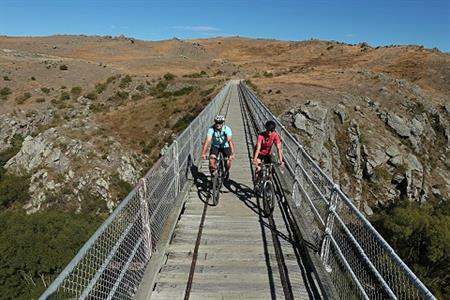 Take time to browse the local shops, stop for an ice cream or coffee at a local cafe before your journey home, back along the river trail, or if you want to link to the Otago Central Rail Trail back to Alexandra. It’s a shorter more direct route (only 9km!) taking you past orchards, vineyards and farmland. Orchard Gardens or Hintons Estate Cellar Door offer a leisurely break en route or just take the time to admire the stunning views of the Old Man Range from here.